Popular myth holds that Mikhail Gorbachev, the last leader of the Soviet Union, ended Communism and broke up the Soviet Union. Yet, when the hammer and sickle were lowered over the Kremlin for the last time on Christmas Day 1991, it was over Gorbachev’s strenuous objections. The man most responsible for relegating Communism to what he called the ash heap of history was Ronald Reagan. Most of today’s college students were born after the fall of the Berlin Wall. They never experienced Ronald Reagan in the White House as the leader of the United States of America and the western alliance of democracies built around NATO. This holiday season it’s worth reminding ourselves of what did, and did not, contribute to the end of Communism and the Soviet Union, spreading freedom to hundreds of millions of people around the globe. Reagan understood something that America’s leftist politicians and academics didn’t: that the Soviet Union could not compete with the United States both economically and militarily. Socialist systems are inherently less productive than capitalist systems, which left the Soviet Union with difficult choices: allocating resources to goods for its people, or military expenditures and foreign aid to prop up its satellites in Eastern Europe and elsewhere. Lacking the innovation and technologies that free markets and free societies produce, the Soviets were forced to make up for their less effective military hardware with greater numbers in both equipment and troops in uniform, further straining their limited budgets. Based on this understanding, Reagan sought to confront the Soviets rather than accommodate them. The Reagan Administration, acting under what became known as the Reagan Doctrine, sought to raise the price for Soviet military expansionism by supporting rebels in Afghanistan, Africa and Central America. He unleashed the American economy with tax cuts and regulatory reform, expanding America’s economic capacity while the Soviets stagnated. He worked with Margaret Thatcher and Pope John Paul II to support dissident movements in Eastern Europe, like Solidarity in Poland. He proposed the Strategic Defense Initiative to develop defenses against nuclear weapons, creating a contest the Soviets knew they with their outdated technology and limited resources could never win. Throughout the 1980’s these internal pressures grew within the Soviet system. After three aged hard line Soviet leaders all died one after another (Leonid Brezhnev in 1982, Yuri Andropov in 1984 and Konstantin Chernenko in 1985), the Soviet Politburo turned to the relatively young 56 year old Mikhail Gorbachev in 1985. By that time, the Reagan Doctrine was firmly in place, contributing to the pressures that brought Gorbachev to power. Without the Reagan Doctrine, there is little reason to believe Soviet leaders would not have named another hardliner. Gorbachev launched two critical initiatives upon assuming power: Glasnost (openness), and Perestroika (restructuring). Glasnost was easier to understand: it represented lifting the boot of the state from the necks of its citizens. Freedom of expression was previously allowed only when it was consistent with the wishes of the state, and the Communist Party was given an exclusive monopoly on state power. Gorbachev’s vision was to modernize his party by forcing it to compete. Never did Gorbachev support its abolition. Perestroika was better defined by what it wasn’t than what it was. Faced with a dysfunctional economy, Gorbachev knew the Soviet command economy had to be reformed (“restructured”). But reformed into what? That question was never answered. When Gorbachev lifted price controls and started to pull back on state control of the economy without providing the environment for a private sector to step in and fill the gap, the system collapsed. Farm production came to a halt. Consumer goods became even more scarce. Soviet citizens were unhappy, and with Glasnost providing the opportunity for people to make their unhappiness known, they did, in the form of large protests throughout the Soviet Union. One key product of Gorbachev’s glasnost program was a new Congress of People’s Deputies, of which two thirds of its members would be elected. Gorbachev had already demoted Boris Yeltsin from his post as leader of the party in the Moscow district (he was named Deputy Construction commissioner). Yeltsin ran for the new Congress and won. His election would prove critical because it was Yeltsin who would nail shut the coffin on the USSR and the Communist Party, defying Gorbachev. In hoping to modernize the Communist Party by forcing it to compete, Gorbachev set in motion forces that quickly moved beyond his control. Reagan stepped down in 1988, but within a year the people of Eastern Europe were mobilizing against their own Soviet masters. Gorbachev, to his credit, refused to send in the tanks, and the satellites states began to fly off. The Berlin Wall fell on November 9, 1989. In August 1991 Gorbachev was set to sign a new “union treaty” among the Soviet republicas. His goal was to preserve the Soviet Union through a new governing document that would limit Moscow’s power and create a more federal system somewhat similar to that in the United States. Again, Gorbachev’s goal was always to preserve the USSR, not to dismantle it. On August 18, 1991 eight hardline members of the Politburo moved against Gorbachev in a coup, confining him to his summer vacation home in the Crimea in the Ukraine while they sent the tanks in to take control of Moscow. The hardliners succeeded in preventing the signing of Gorbachev’s treaty. But the coup was poorly executed, ham-handed, and collapsed two days later. Boris Yeltsin, as the new President of the Russian parliament, was seen around the world standing atop a tank in front of the Russian “white house” defying the hard line leaders of the coup. Gorbachev returned to Moscow and declared, incredibly, that his goal was to “renew the Communist Party.” It was clear he had completely missed the magnitude of the changes that were taking place in the country. 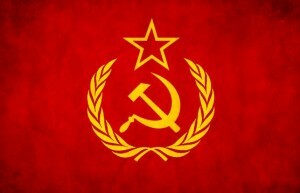 The people of the Soviet Union didn’t want to “renew” the Communist Party, they wanted to get rid of it. Over Gorbachev’s objection, Yeltsin pushed a measure through the new Russian parliament to abolish the Communist Party. Gorbachev resisted this to the very end, but its passage ultimately forced him to resign as leader of the party. 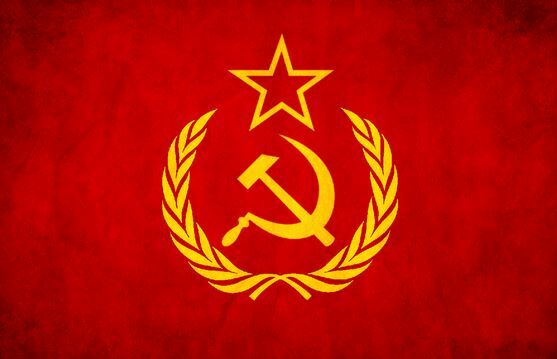 All 15 republics of the former Soviet Union became independent nations on Christmas Day 1991. It was Gorbachev’s last day as leader of the Soviet Union. His country, and his party, over his objections, were no more. Gorbachev deserves a good deal of credit for his leadership. He refused to send in the tanks to keep Eastern Europe in line, or even the Soviet republics of Lithuania, Estonia and Latvia as they declared independence. He set glasnost in motion, although the pressures brought by the failing Soviet system no doubt created the conditions where glasnost was necessary. Perestroika, on the other hand, failed because you can’t replace something with nothing. While socialism was flailing around just as it always does, the reluctance to embrace and create the conditions for a market economy to replace it led to uncontrollable political forces that led to the entire system’s collapse. Ronald Reagan’s objective was to defeat Communism. Gorbachev’s was to save it. Thankfully, Reagan won. This entry was posted on Saturday, December 28th, 2013 at 1:17 pm and is filed under Blog Posts.